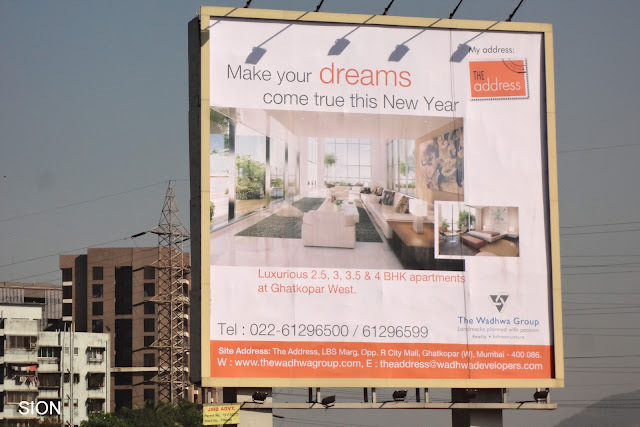 Often developers use misleading photographs in their advertisements to lure buyers. Wadhwa is one developer who generally delivers what it promises. Going by the history of delivered projects be it Anmol in Goregaon or Solitaire in Powai we have no doubt that the group will come up with a masterpiece in Ghatkopar. Let's quickly get into the details to see whether the developer has lived up to his reputation and proved our hypothesis right! 6. Double glazed windows on the railway side of the Vista apartments. This product is feature heavy! The Address is centrally connected to the entire city ensuring maximum time is spent with family and not travelling. In terms of social infrastructure, you have the R City mall and bang opposite and Powai at a distance of 3.5 km which houses everything from schools to malls to entertainment. 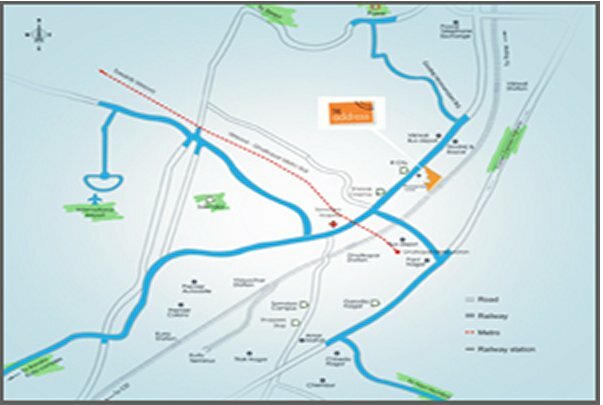 In terms of connectivity, this location works well, it's equidistant from the Ghatkopar & Vikhroli stations and close to the metro station. 30 minutes away from the BKC, and approx. 3 km away from Eastern Express Highway. Due to the mall, the main road outside the gate is always jammed with traffic - approach from the Eastern expressway is worse. This land was the site of a factory which manufactured asbestos products which are harmful. The Land closer to Bombay Agra Road (I believe it is now called Lal Bahadur Shastri Road) housed the staff canteen and administrative offices. At the back side of the project is a railway line which means this is by no means a silent zone. 1 - All building face the Cemetery in front. 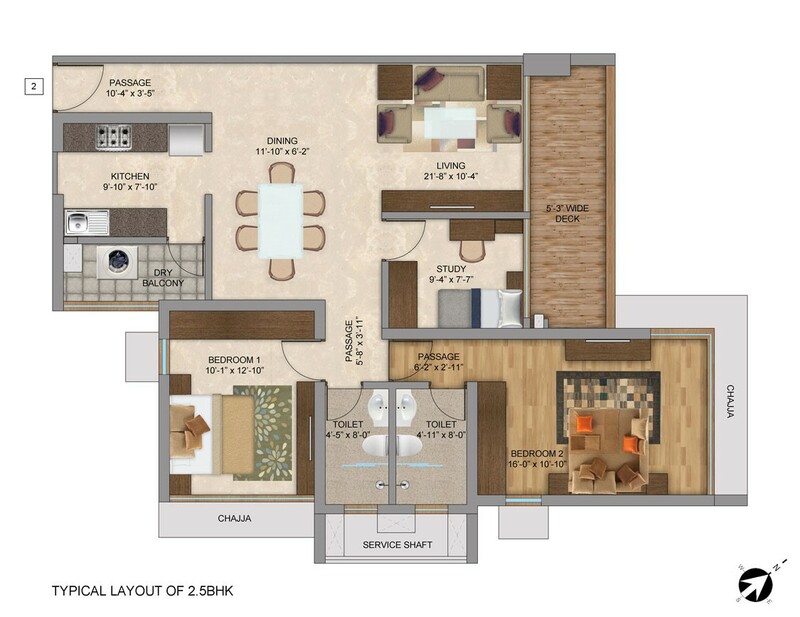 In fact, the 2,3.5 BHK flats overlook it very closely esp Vista 3,4. Every room you see from it sits right there in front. The builder says he is building trees to cover it - but there is no way you can miss it. Very clearly the entire project faces the cemetery. The project is pre-certified for Gold rating with the Indian Green Building Council. Winner of the best residential project in 2010. The property outlines several aspects such as fitness , sports, spiritualism, and nature. 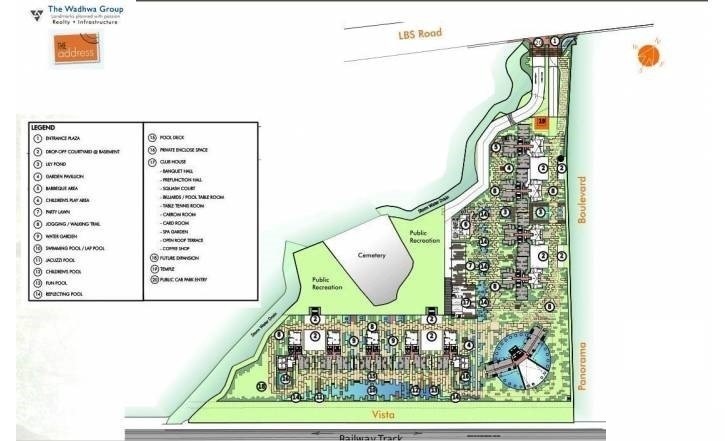 In regard to fitness and sports, it entails a decentralised fitness club (gym,aerobics area) and swimming pools for each cluster as well as a 50,000 sq ft clubhouse ideal for squash, table tennis, swimming , banquet hall , among others. 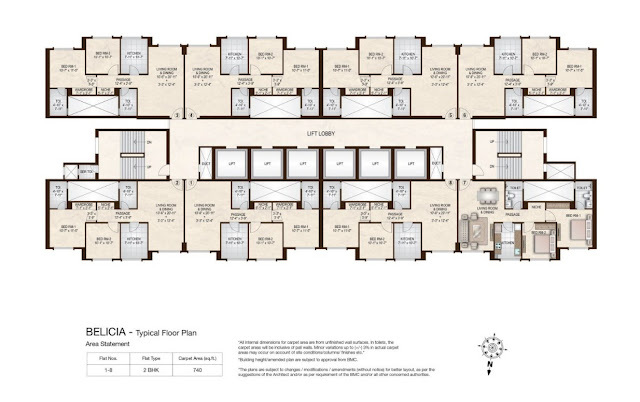 3BHK: Rarely do you come across such lavish and efficient floor plans both together. A nice entry foyer (spacious enough to store your show rack) leads you to a grand living space of more than 300 sqft with an additional attached deck (almost 50 sqft). The apartment is well laid out and is balanced on both sides. Bedrooms of size more than 150 sq.ft. ; technically it means your you have enough living space in your apartment. It won't take long for you to note that the bathrooms are of size 50 sqft; excellent design and space are in the DNA of the apartment. 2.5BHK: The 2.5 BHK’s are again laid out efficiently, A 30 sqft passage ensures privacy in your living space and leads you to a spacious ‘L’ shaped living dining area. A sundeck attached to the living space gives a sense of spaciousness to the apartment. The placement of the study area is ideal, you might be tempted to include it into your living space or make it a private office room with a glass partition, either way works for us. Coming to the bedrooms, though the master bedroom is expansive, the second bedroom could have been bigger. All said and done it’s a nice layout and works well. Exclusive gated community, fantastic construction with beautiful flats but let down by the cemetery view from almost every apartment. Please do check the view before calling this home your Address! I respect your advance thoughts.It was really nice to read your blog. For getting the best from best double glazing companies, knowing these are very important.